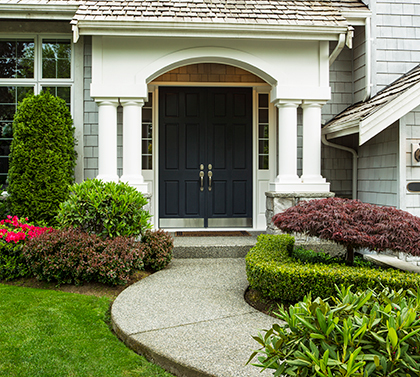 The entryway and front door to your home invites people in and dictates much of the first impression visitors get of you and your style of living. At SAHR Building Supply, finding the best door for the front of your home is easy. Talking to our residential door specialists will provide you with insight on good options for how to make your entry door give the best impression possible. From sleek, modern designs to antique, rustic looks, SAHR has the right door for you. In addition to front doors, SAHR has great options for interior doors as well. We have doors for any style of home. Whether you’re looking for wood, metal, fiberglass, or vinyl doors, our experts will work with you to give you the exact look and style that you have in mind. We use top rated brands and high quality materials to ensure that your doors last for decades. Our door specialists do projects of any size and will work with you to make the vision for your home come to life. For a well done project at a great price, SAHR Building Supply is your best option. For more information about residential doors from SAHR Building Supply, please contact us here or call us directly at 855.724.7934.